Where Is Gene Kelly's Statue? Gene Kelly plaque at the University of Pittsburgh. Wikimedia Commons. The long, complicated, and ultimately futile process of erecting a Gene Kelly statue in the star’s hometown of Pittsburgh seems to have begun in 1999. Based on my research, the Gene Kelly Statue Committee encountered two major roadblocks in its attempts to memorialize Kelly. Interestingly, these obstacles centered not on money—in fact, the $500,000 expense was to be paid via private funds—but on location and endorsement. 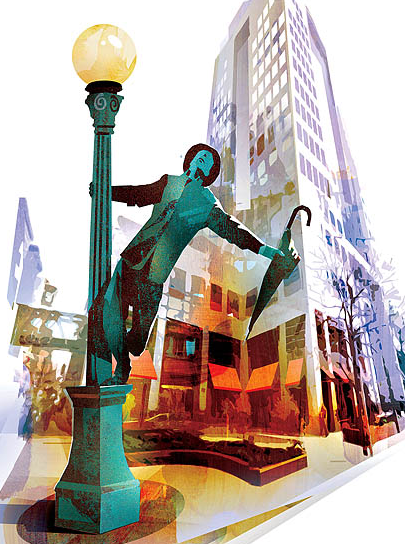 For several years, debate ensued about where to place the 14-foot bronze statue of Gene Kelly singin’ and dancin’ in the rain. Several people argued the statue should be erected on a prominent traffic island at the western entrance to the city, a sort of “gateway” to Pittsburgh’s downtown area. But other citizens thought that location would be too “isolating and unapproachable” and instead lobbied for a spot in Pittsburgh's Cultural District, near theaters and a high school for the performing arts. Regrettably, at the time, the Pittsburgh Cultural Trust said “there was no suitable place” in the Cultural District to place a statue. So that’s the first major setback for Pittsburgh’s Gene Kelly statue: disagreement about location. A second reason Pittsburgh appears to have no Gene Kelly statue concerns support, or the apparent lack thereof. So the second major setback for Pittsburgh’s Gene Kelly statue, it appears, is a lack of endorsement. 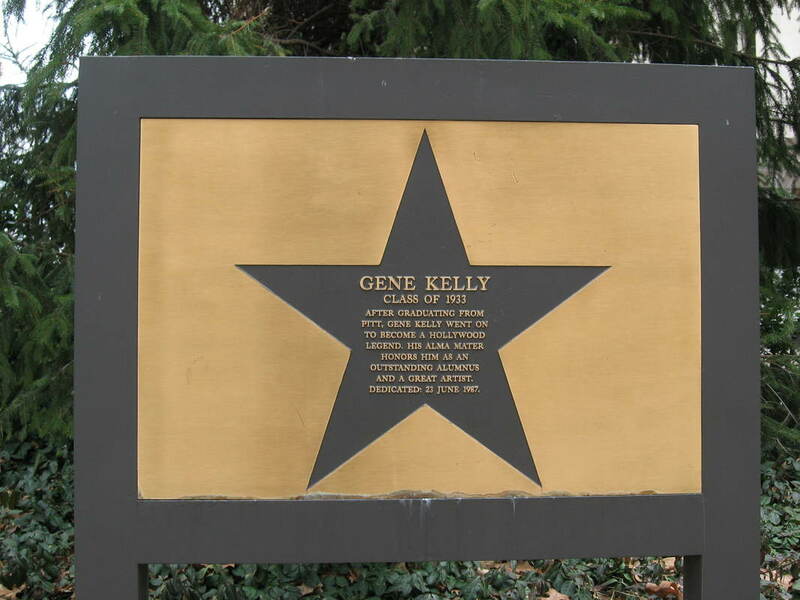 ​To date, some bloggers and Pittsburgh residents still push for the statue, but The Gene Kelly Statue Committee effectively dissolved in 2010. Rawson, Christopher. "Statue Should Show Joy, Says Widow." Pittsburgh-Post Gazette (12 Dec. 2001).